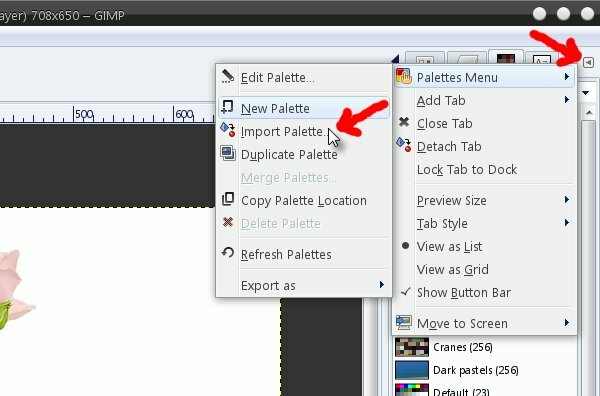 Here’s a quick and easy way to save a palette of nice colors to use in your gimp design projects. First find a photo with some colors that appeal to you. I’ve used an image called “Tea Still Life” which you may find here: http://morguefile.com/archive/display/604588. 3. 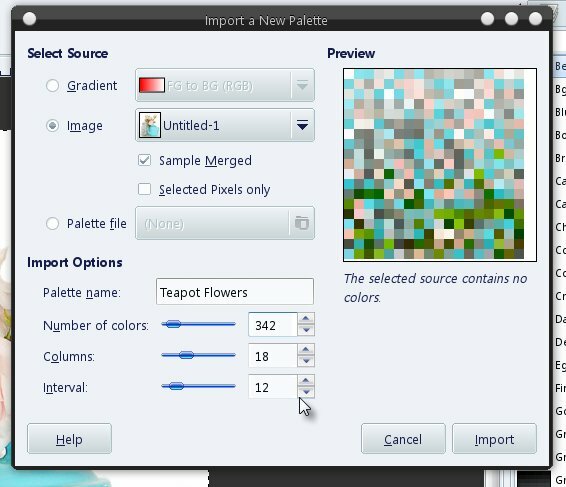 When the Import Palette dialogue appears, select the “Image” radio button. After you are satisfied with the amount of colors displayed, import your palette and it will now be added to your palette dialogue. Such a cute and useful tutorial… thanks! 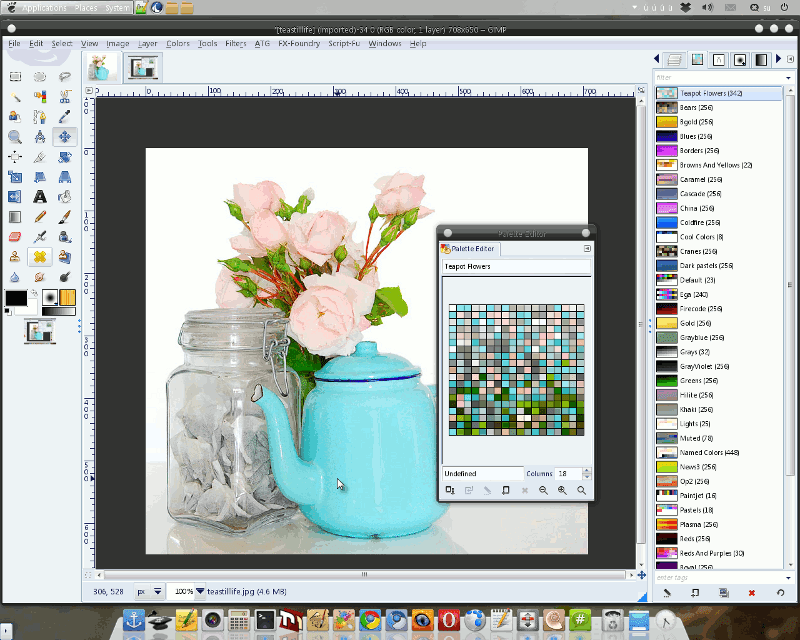 Thanx for the Gimp freebies and all the Gimp tutorials. I appreciate your generosity! I so appreciate all the tutorials! 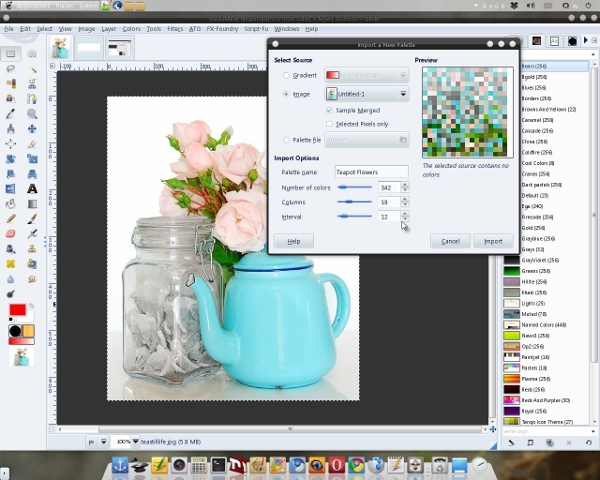 Is there a way to download all the GIMP tutes at once or into a PDF? If not, do I go to each one individually and save it to refer to when needed, or is one not supposed to do that? Sorry for my ignorance on this subject! LOL! Thanks!